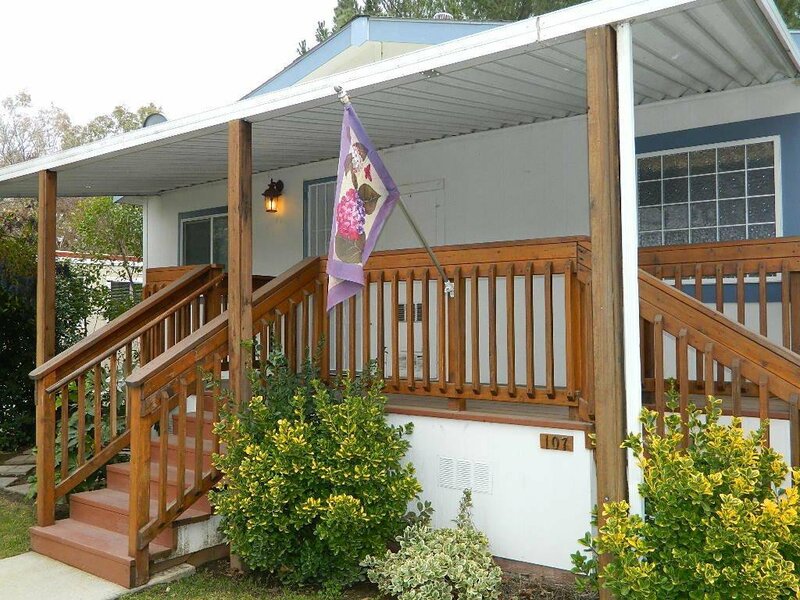 Very nice 3 bedroom 2 bath Manufactured home in Rancho Yolo Senior MH Park, Davis. Fantastic Open Floor Plan. Master bathroom features walk-in tub, double sinks and lots of storage. Walk in closets in 2 of the bedrooms and a decent size closet in the 3rd bedroom. Built in cabinetry surrounding the gas fireplace in Livingroom. Has a Full Ramp on the newer redwood decking in the covered parking area, plenty of space to park 2 cars in driveway and 1 small car on the gravel next to the driveway. Come by and check it out, it will be gone before you know it. Listing courtesy of Re/Max Gold Woodland. Selling Office: RE/MAX Gold Woodland.